Proposals have been outlined to develop the former station yard site in Reepham. The development comprises offices, a convenience food store and a care home/assisted-living residential village. 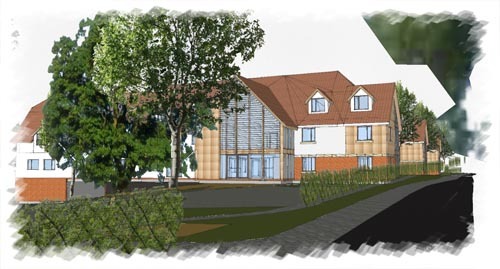 Addressing this week’s meeting of Reepham Town Council, representatives of Norwich-based CAM Architects explained that the development will offer a mix of employment and housing with care, including dementia care. There will be provision for a number of small offices, a care village employing around 40 people and a Central England Co-operative food store with a retail space of around 280 square metres and 22 car parking spaces (including two disabled spaces), employing up to 25 people. 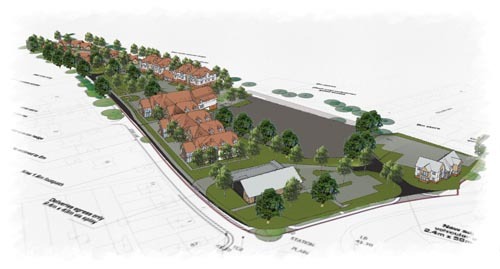 The gated care village with around 70 units will comprise a care home and assisted flats and bungalows, predominantly for over-75s, offering 365-day, round-the-clock care, with a facility to become a community hub. Ian Malton of CAM Architects said a team of consultants had discussed the plans with Broadland District Council and Norfolk County Council with regard to drainage, highways, arboriculture, design and improvements to Marriott’s Way. The site will feature appropriate landscaping, including retention of some existing, mature trees, and amenity space, while new access to both the new development and the existing retail business/tea room at Kerri’s Farmhouse Pine will improve visibility onto Cawston Road. Meanwhile, Stony Lane will be widened and a new footpath created, all within the site ownership. Delivery vehicles to the supermarket will enter via Cawston Road to a dedicated delivery area and exit via Stony Lane. A full planning application is expected to be submitted within the next few weeks. CAM Architects is looking to hear residents’ views on the proposals, which can be emailed to info@camarchitects.co.uk by 14 May. What do you think of this proposal? You can also make your comments for publication HERE.